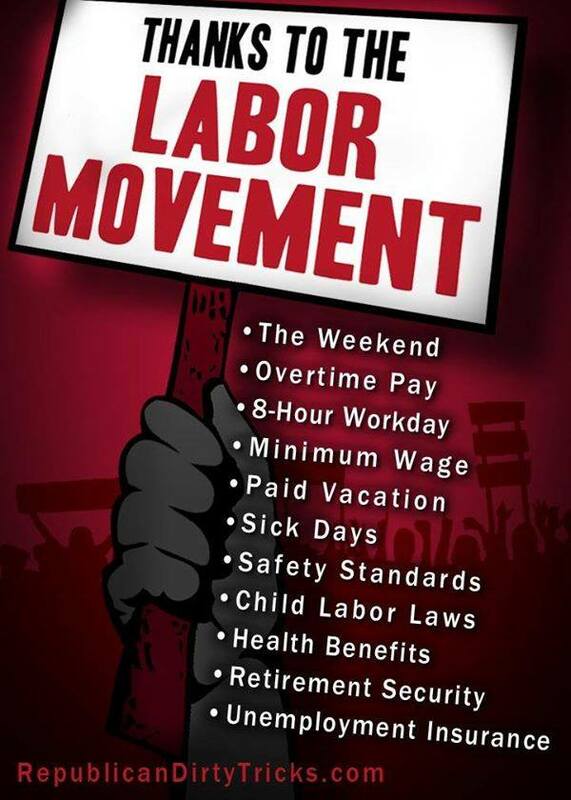 Hey remember when employers just gave up this stuff because workers asked nicely and it was the right thing to do and everyone knew those unions were on the right side of history. And remember the nature of employers fundamentally changed and they totally wanted what was best for their employers and would never exploit them, and totally wouldn't cut those costs the second those laws went away. And then remember when the unions were busted over the last forty years and the laws were relaxed, remember how all this stuff just stayed in place because it was seen as a moral good and employers were basically nice people who cared about their employees, and not the bottom line. 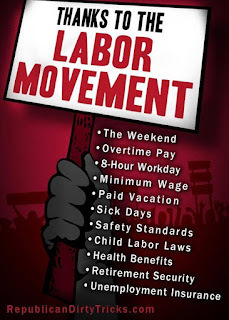 Remember how it really was unions just being greedy all those years, and we haven't seen the 40 hour week or the 8 hour day obliterated or collective bargaining forbidden or anything so regressive. Remember how the minimum wage didn't stagnate even though the cost of living went up because the labor movement no longer had teeth. And remember how employees gave health care even when they didn't legally have to because that was better for their workers, so there was no need for legal intervention. Certainly industries with busted unions or states with so-called "Right to Work" anti-union laws didn't create far, FAR worse circumstances for workers even a little bit. And of course everyone makes overtime if they're asked to work a long day or come in on the weekend.